"When did February become a harvest season?" Malawi is a country in SouthEast Africa that receives rain once a year from November up to April. Most of the agriculture done in the country that helps in the production of food is rain fed. Once maize (Malawi’s staple food) is planted in November or December, it is harvested in April or May. 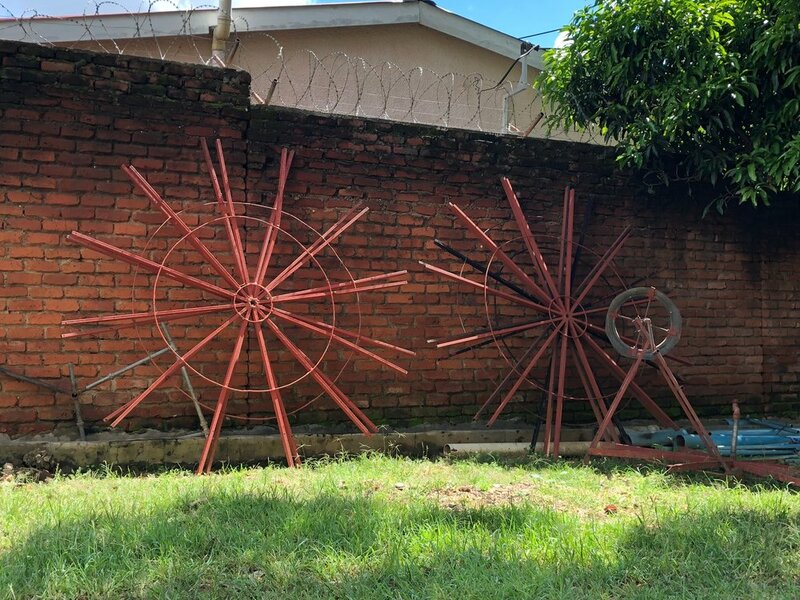 This single harvest is the one which is expected to provide all the food requirements for most Malawian households throughout the entire year. In a situation where the rainy season was not good, let’s say there was a drought or too much rains, the poor harvest that is realized in the year is expected to cover all the people’s needs for over 10 months. Since the food cannot suffice hunger strikes and because the house hold depends on agriculture for income generation, poverty strikes on the other side. This is where an extra un-usual harvest is crucial. When rural subsistence farmers are empowered to cultivate multiple times in a year, not only do they deal with hunger, but they actually deal with poverty as well. Mr. Wallace Sitolo is one of the farmers that were trained in sustainable irrigation agriculture in Mziza village which is under Mpingu Extension Planning Area in Lilongwe District over Five years ago. He learned how to grow maize in irrigation basins and how to make sure that he uses compost manure to provide needed nutrients to his crops so that the crops grow and produce well. He also learned to time his cropping so that he harvests his crops during times when there is need for his produce. Mr. Sitolo grew an early maturing variety of maize called SC 403(Kanyani) which takes only 90 days to mature. He took very good care of it and although he could not manage to buy fertilizer he made sure to apply enough manure to make sure that the crop found all the needed nutrients. As the women were harvesting the maize I asked them, “When did February become a harvest season?”, they all laughed. This is because February is a month where most Malawians, especially in rural communities are food insecure and the prices of Maize rise to MK 12,000/MK 13,000 per 50kg bag from MK 3,000/4,000 during the time of harvest. Because Africa Windmill Project introduced the concept of sustainable irrigation agriculture to end hunger and poverty, every three to four months literary become harvest season for our farmers! The first irrigation crop is planted between February and April and it is harvested in June, the second crop is planted soon after this first harvest and it is harvested in September and then the last crop is planted in September/October and it is harvested in December or January. Africa Windmill is committed to ending hunger and poverty and we want you to join us. Your Gift matters! Make a difference today! I'd grown used to our group gathering around the breakfast table in the morning, and I wasn’t ready for that to end. Breakfast was our first point in the day to be together. We gathered around a long table in the dining room, poured some coffee to help us function, and then thanked the Lord for the new day. Conversation at breakfast varied. Sometimes we talked about the activities from the day before, or discussed what we were looking forward to. We also spent time verbally processing how we could meet needs that we’d seen. One of the things I loved most about the trip is that I didn’t have cell phone data and I was off most social media platforms. Which meant I was able to genuinely focus on the person in front of me. Breakfast was a special time for us to focus on each other and the day ahead. 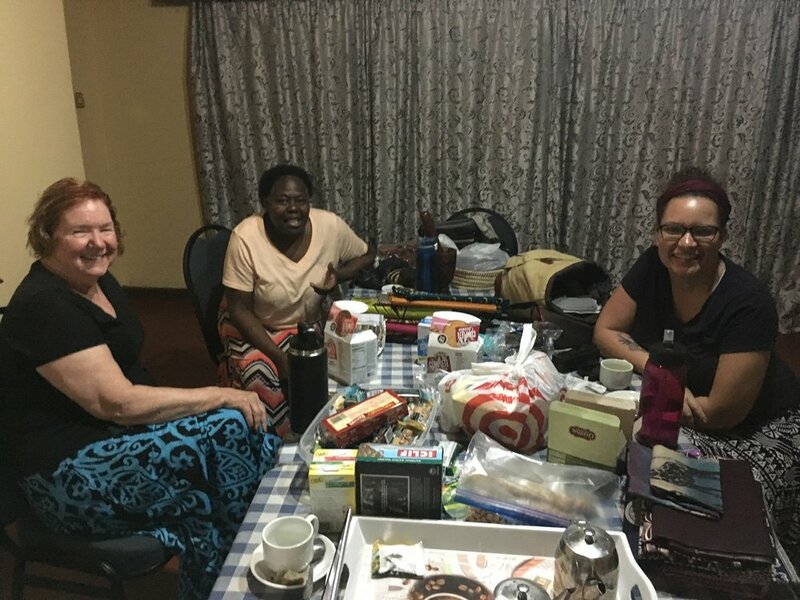 My joy was truly complete that week with these women and I believe it's because we were "face to face," experiencing life and talking about real, meaningful situations. Breakfast was our time to center ourselves, our hearts, and communicate with the One who was using us to make an impact. 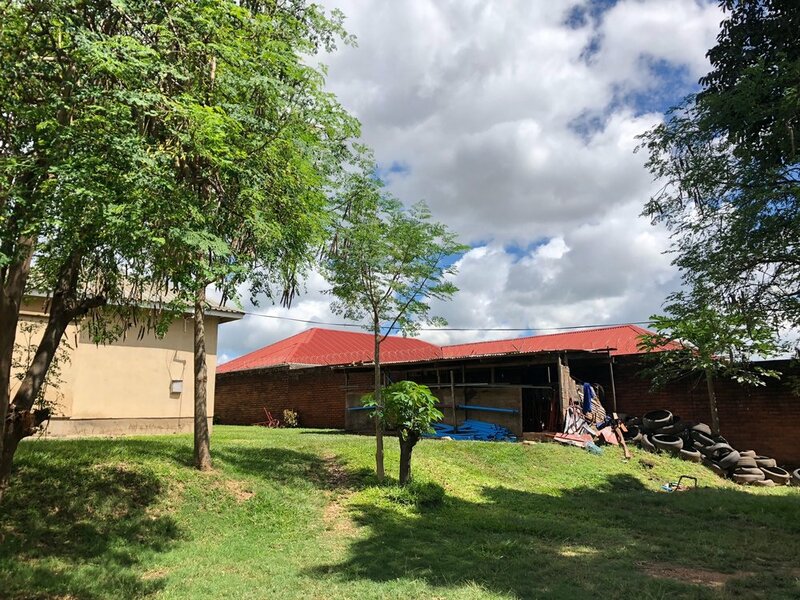 When we were planning this trip, we had weekly calls to talk about Lilongwe, what to expect, and what our roles would be. One of the things we talked about was starting each day with Jesus and ending each day with a debrief. The goal of the debrief would be to give each of us a chance to process how our day had gone (whether good or hard), and to share what we'd learned. Our debriefs were my favorite. Breakfast was time for us to re-focus on our purpose, but debrief was time for us to process how that purpose was playing out. Debriefs started out an hour long each night, but by the middle of the week we were up to three hours. We had so much to share! The time usually started with someone saying, "So, what was the best part of your day?" And then someone else would say, "Well, I had several great moments..." And that would start a cascade of stories. At the beginning of the week, we stuck together and did the same thing, so we heard many of the same conversations. But, as the week progressed and we became more involved, we found ourselves having sidebar conversations with the staff or villagers, observing situations, and picking up on detail that others missed. The more we talked with other people and developed individual relationships, the more we saw our impact growing and God at work. One of our last nights, it was observed that women in general pay close attention to detail and like to think about many things at once. This was especially noticeable in our debriefs. Our group was picking up on so many things - we identified needs of those around us and possible solutions, we shared conversations that we'd had that gave us more insight into an individual and how God was working in their life, all while also processing how God was working in our own lives. We laughed a lot. And we cried. It was incredible to be together as four women who notice the detail and want to figure out how we can make an impact in each moment. I've found myself truly understanding these verses and what it means to be thankful. Not just thankful for material possessions, but thankful for people and relationships. Thankful for experiences that grow me and point me to the Father. Thankful for conversation that goes deep, tears that run long, and laughs that carry a tune. Thankful for aunts and for new friends. Thankful for breakfasts and debriefs. I didn't know any of the AWP staff before visiting Lilongwe. I've known about the staff. I've read their bios on the website and heard some stories here and there, but I'd never met any of them and didn't know all of their names. Gibozi, Joseph, John, Professor, Yohani, Alex, Elias, Patricia, and Gerard were so kind and welcoming to our group. We were able to spend time with each of them, hearing their stories, and learning about how they enjoy working for AWP. Spoiler alert: they love it. Each of them said AWP is a blessing and they enjoy working in an environment that's so encouraging and honest. One of the first moments we had with all of the staff was at the staff meeting Monday morning. The meeting started with a devotional led by Gibozi. He dived into the parable of the Good Samaritan in Luke 10 and then opened the floor for discussion. We had a very rich conversation about Jesus and loving others. 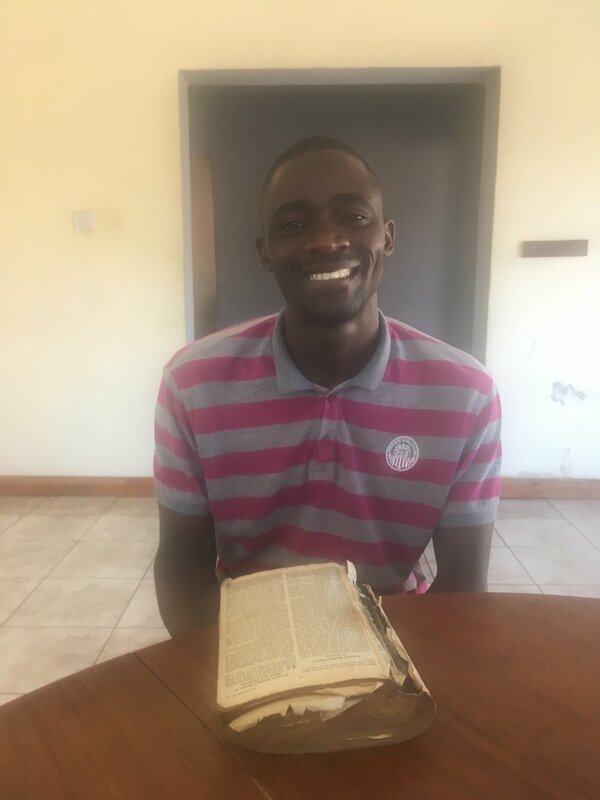 It was evident that the men and women in that room are Christ seekers and they were excited to talk about what the scripture was teaching them. Photo (L-R): Kyrsten, Margaret, Gibozi, Professor, Doris, Gerard, John, Yohani, Elias, Joseph, Alex, Patricia, and Wanda (photo by Kimberly). During our week there, we got to know the staff on a more personal level. We spent our first weekend there with Gibozi, John, and Joseph. These three are compassionate and hard working, and it was evident in their demeanor toward us that they valued us as sisters in Christ. John is one of the drivers on staff and he's so careful when he drives. The roads in the city are paved, but once you start heading toward the villages, the roads are dirt and full of holes, bumps, and deep ridges. It was great to have someone who knew the roads driving us around. 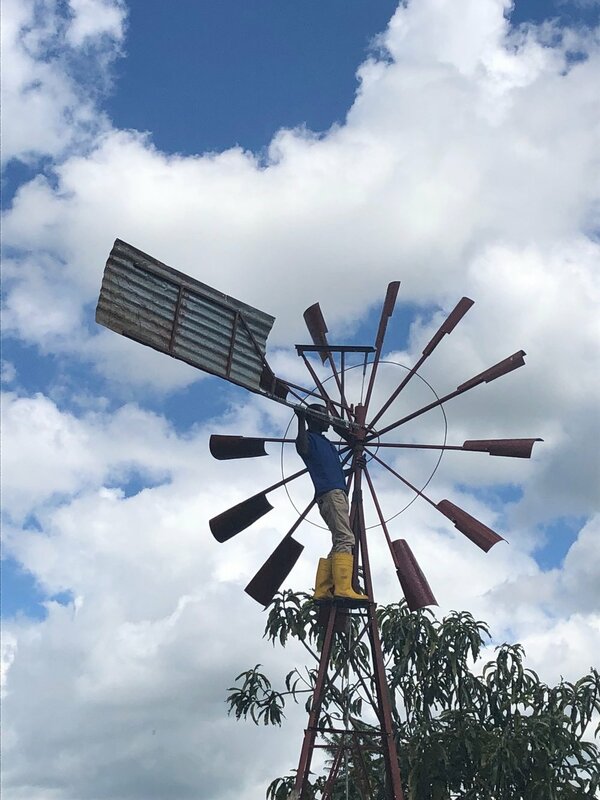 Beyond being a driver, John helps the rest of the staff out with windmill repair and trainings - he goes above and beyond to ensure farmers have what they need to be successful at irrigation farming, and it really shows. Joseph is the project manager and has a great spirit. He spent time teaching us about Lilongwe and Malawian culture. 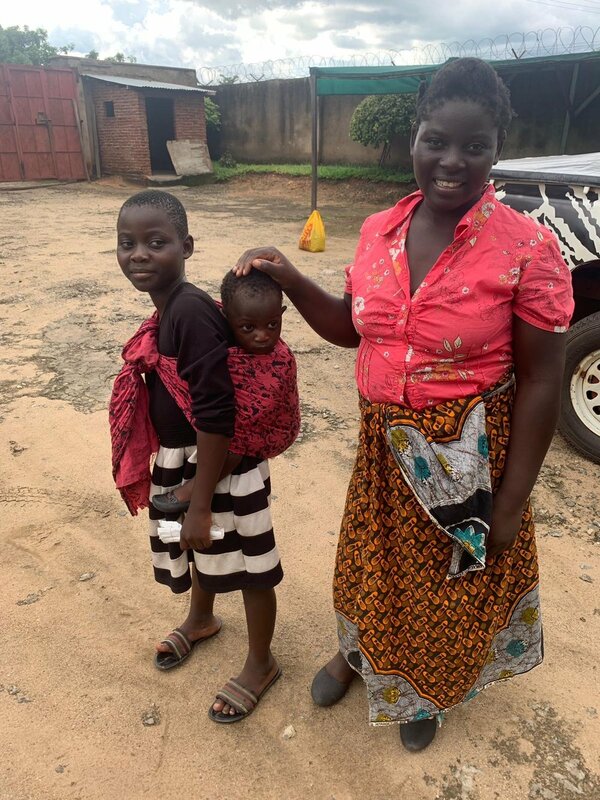 Later in the week several of us had a chance to travel with Joseph to the widow’s program and meet some children from COTN (Children of the Nations). Photos: Joseph surveying a garden at Mziza (1). Wanda teaching the children at COTN a song, with Joseph and Kyrsten (3). 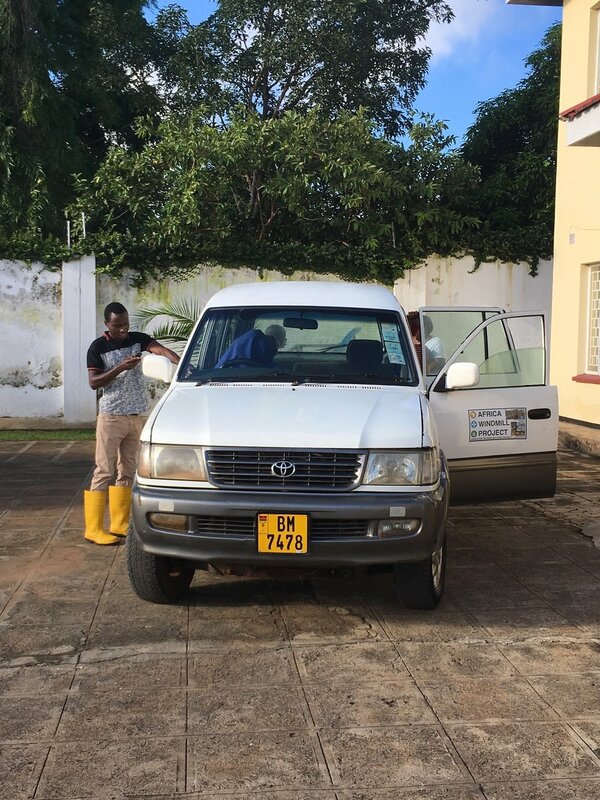 John getting ready to drive us to Chigonthi (3). 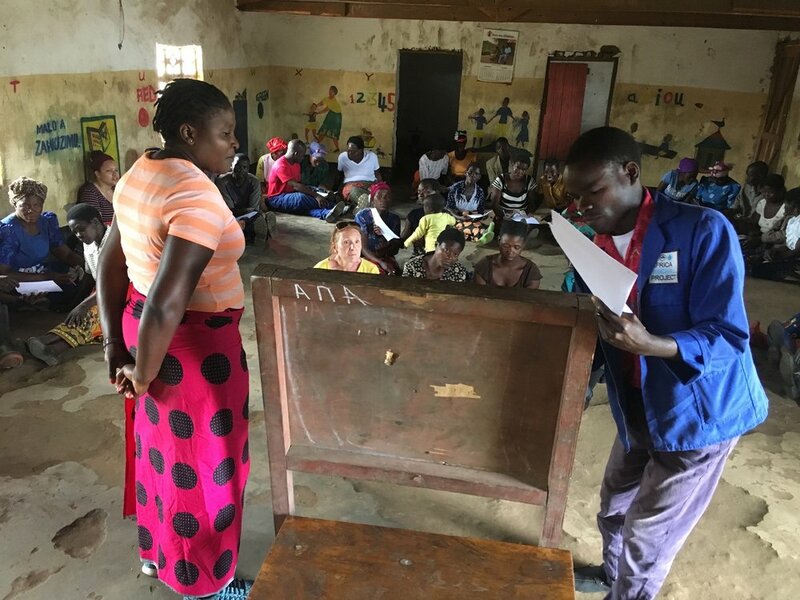 Professor and Alex lead irrigation training for farmers in the villages. We had the opportunity on Wednesday to go out with Alex and Elias (another driver) to Mngwangwa and meet with three villages in that area. They all love Alex! He works with over 2000 farmers and based on some of the songs and prayers we heard, we know they respect him and appreciate all he's doing to help. Alex is kind and speaks with a boldness that inspires those around him. Elias worked really hard all day to get us safely to and from Mngwangwa. We got to know Elias a little more on the drive to and and he said he's happy to be with AWP. Photos: Alex giving us a tour of the office and talking about windmills. On Thursday, we traveled with Professor, Yohani, and John to Chigonthi where Professors works with ~1300 farmers. Professor led irrigation training for one village we stopped at and it was fun to see him in action. He's an engaging teacher and enjoys his work. Yohani accompanied us on the trip to repair a windmill at another village in the area. Yohani has a deep history with AWP and it was nice to get to know him better. He's funny and likes to joke around, but also works really hard to build and construct the windmills to the best of his ability. Photos: Professor teaching village farmers about irrigation farming (1&2). Yohani welding a windmill (3). Yohani, Professor, and John repairing a windmill in a village (4&5). 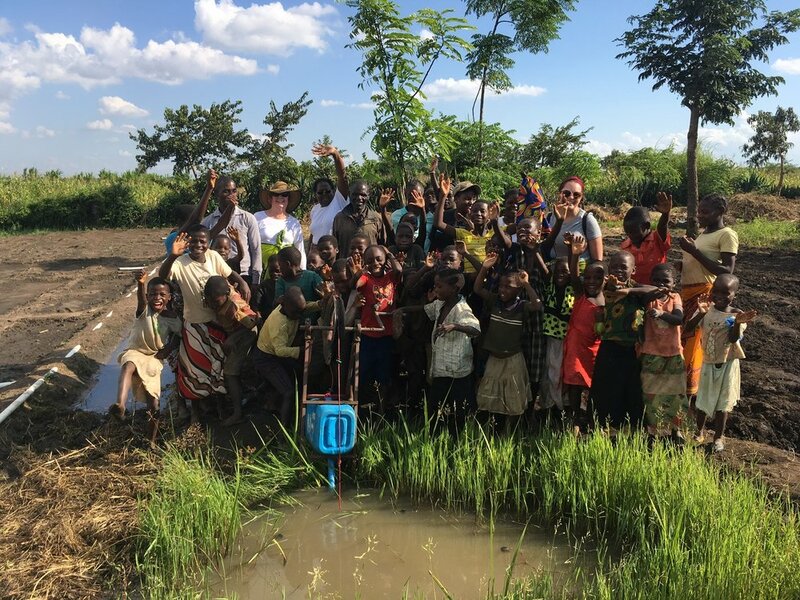 Our team with Alex at a village demonstrating a water pump (6). Patricia started at AWP the first week of March. She works in the office on finance and administrative tasks, but she did journey with us out to Mziza on Tuesday to check on a water pump. One of the things I really enjoyed is meeting other women and learning more about their story, and meeting Patricia was no exception. She's very excited about her position and looking forward to working for AWP for a long time. Photos: Kyrsten and Patricia in a garden in Mziza (1). Kimberly and Patricia (2). Gerard! I have to say his name with emphasis because he cooked our lunch several times during the week and it was delicious. 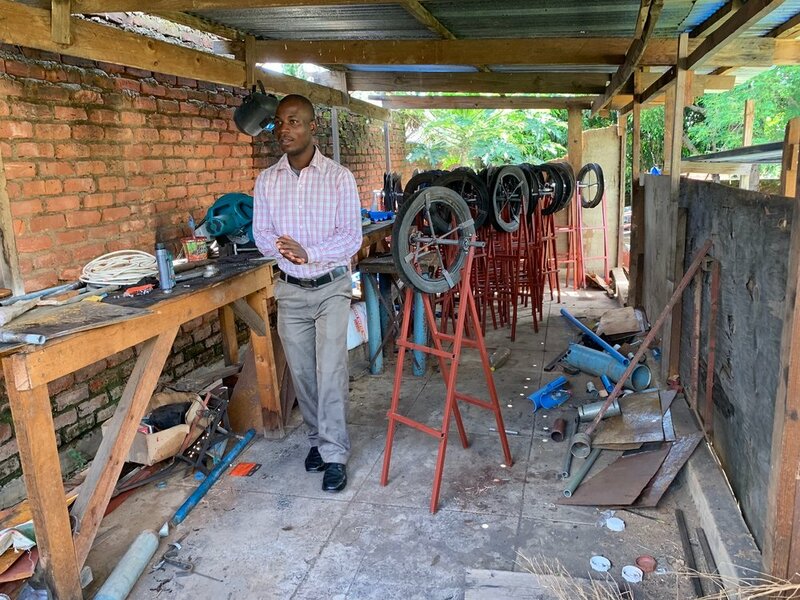 Gerard lives on AWP’s premises with his family and takes care of the office and workshop. We ran into Gerard on his bike one day earlier in the week when we were walking home after a minibus ride, and he was so excited to see us. He's very genuine and loves the Lord so much! Photos: Gerard (1). Gerard's wife and daughters (2). Lunch that Gerard made one day - nsima and vegetable (greens) (3).